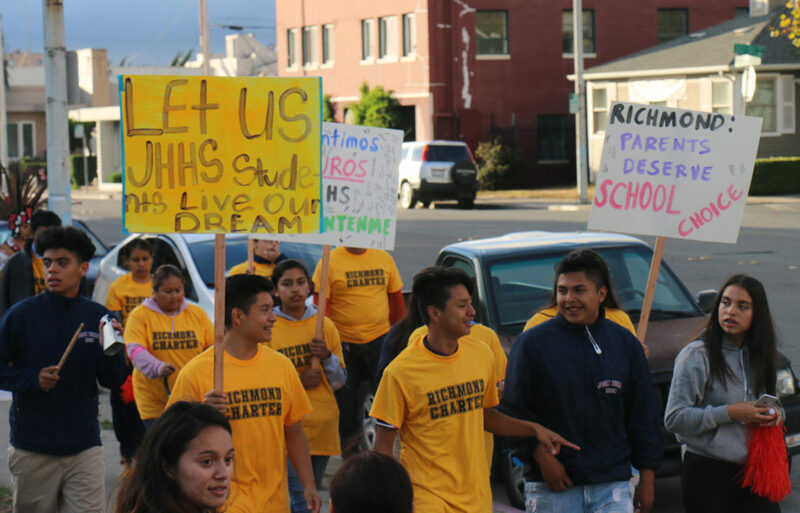 The Richmond City Council decided last Tuesday to start drafting two new ordinances to help low income tenants find housing in Richmond. The council was responding to a proposal put forward by Vice Mayor Melvin Willis and several groups. It will make it cheaper for tenants to apply for rental housing and also outlaw discrimination against residents using housing choice vouchers, also known as Section 8, named after section 8 of a decades old federal law that assists very low-income families, the elderly, and the disabled to pay rent in the private market. The Alliance of Californians for Community Empowerment, a statewide grassroots organization that works towards policies and programs to improve communities, and the Haas Institute for a Fair and Inclusive Society, which is a think tank based at the University of California Berkeley, joined together with three Richmond-based organizations to jointly put forward proposals. The city groups are Safe Return Project, a nonprofit that tries to better the lives of formerly incarcerated residents and increase alternatives to incarceration, Richmond Neighborhood Housing Services, whose mission is to ensure that residents have access to affordable housing and rents, and the Richmond Progressive Alliance, which supports progressive policies and candidates. A 2018 study done by the Urban Institute, a non-profit research organization, showed just how incredibly difficult it is for Section 8 tenants to find housing across the nation. The study said that on average, there was only one eligible unit for every 39 units that was screened. During the council meeting, representatives of the organizations that proposed the ordinances explained why they believed they were needed in Richmond. Many residents spoke in favor of the proposed ordinances, during the public comment period. Marilyn Langlois, former chairperson of the Richmond Planning Commission, thanked Vice Mayor Willis for bringing the proposal forward. She said it seemed like, “a real no brainer.” She urged the council to direct staff to make these proposals a reality. But Ilona Clark, a member of the Association of United Richmond Housing Providers, a group of rental housing owners in the city, objected to the proposed ordinances. After public comment, Willis moved to direct staff to start drafting the two ordinances, while at the same time researching whether the city has the regulatory authority to limit the application fees prospective tenants are asked to pay. After hearing the public comment, Vice Mayor Melvin Willis moved to start drafting the two ordinances. 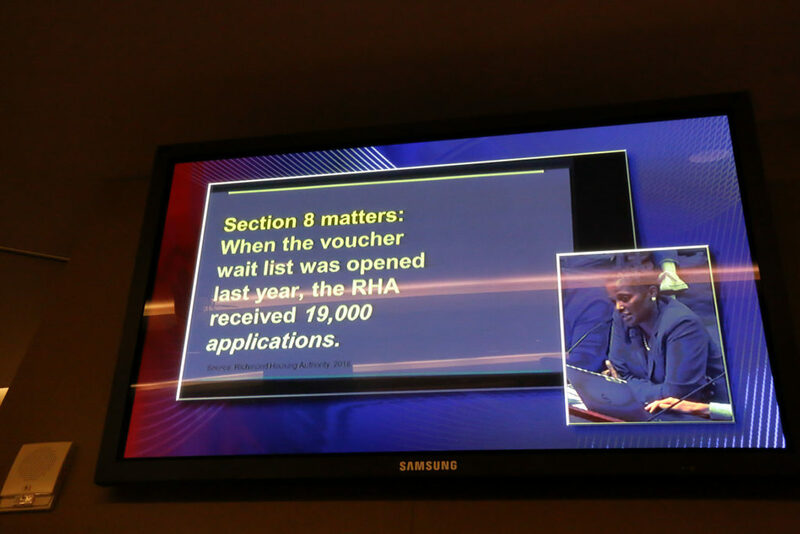 Currently in Richmond, Section 8 residents come to find that lots of landlords don’t accept them. The first of the two policies was developed to prevent landlords from refusing qualified tenants who use a Section 8 Housing Choice Voucher. People who help low-income Richmond residents find housing, applauded the proposed ordinances as desperately needed to combat discrimination. To better understand how Section 8 tenants are received, Richmond Confidential reviewed advertisements for rental housing in the city and made some calls to prospective landlords. On Craigslist, we came upon lots of advertisements for housing, all with a similar statement: “NO SECTION 8. Without mentioning our profession, we asked the people who answered the telephones at several of the rental properties why Section 8 recipients were not welcome to live there. They said the owners preferred not to rent to tenants on the government subsidy and that this was an age-old policy. When we identified ourselves as reporters in a telephone call with Martin Realty/EPM Living, we were connected to a woman who told us that some of the company’s properties accepted Section 8 and others did not. “It is our right and it’s our right not to be bothered,” she continued, when pressed on why all of their properties didn’t accept people using the housing vouchers. Landlords need to go through extra inspections in order to accept Section 8 tenants, including a move-in inspection. This can sometimes, “delay tenant move-in, causing property owners to lose a month of rent,” says the California Apartment Association, the nation’s largest statewide trade group representing owners, investors, developers, managers and suppliers of rental homes and apartment communities. Several other cities have adopted similar ordinances to the ones Richmond is considering. Jurisdictions that have already enacted such laws show substantially lower denial rates for Section 8 tenants. Voucher users were denied housing only 15 percent of the time in Washington, DC, which has enacted legislation banning the discrimination, the 2018 Urban Institute study found. However, more than 75 percent of rental housing applicants from voucher holders were denied in Fort Worth and Los Angeles, which don’t have special laws banning discrimination, the study said. The second proposed ordinance is envisioned as a way of protecting tenants who need to submit multiple applications before finding a place to stay. The goal is to reduce the financial burden of rental applications to a one time, 30-day fee. This way tenants can apply anywhere and as many times without fear of wasting their money on an already biased landlord. Implementing a one-time, 30-day fee will help out renters of all types, not just Section 8. Ann Cyrus, a former Richmond resident who became homeless a few years ago, rose during the public comment period to support the second ordinance. She described becoming homeless after having to spend $500 on housing applications because each place required a new background check and fee. When someone is earning less than $1,400 a month, spending hundreds of dollars on housing application fees is impoverishing, she complained. Cyrus said she ended up on the streets of San Francisco and is still looking for a place to stay. Ann Cyrus, a former Richmond resident, ended up homeless after having to pay almost half her monthly income just on housing applications. After the meeting, Evan Bissell, a researcher for the Haas institute, expressed hope that the council would adopt strong tenant protection ordinances soon. “Clearly we’re pleased with the councils’ encouragement and excitement about the law,” Bissell said.